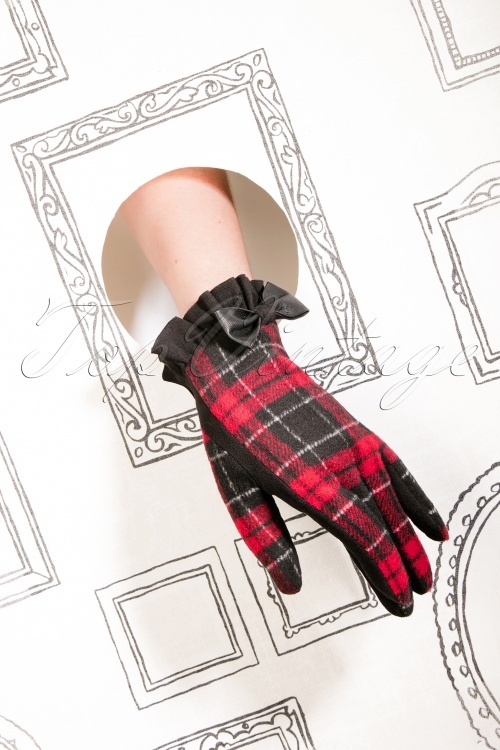 Get ready for a stylish and classy winter with these 50s Cavan Tartan Gloves in Black and Red! Made of a soft and warm fabric featuring a classic tartan pattern in red, white and black, finished off with suedette trims and a cute faux leather bow. Tartan-tastic!